DIRTY LITTLE SECRET: Historical evidence provided by the National Center for Health Statistics and the U.S. Reference Library System now confirms the information appearing within the image of Obama’s alleged 1961 “Certificate of Live Birth” disregards his actual foreign birthplace while, instead, providing a statistically based “geographic allocation” which is a result of a widely misunderstood natality data reporting policy which began in 1950. Stalling for four years since Obama announced his candidacy in February of 2007, under mounting political pressures and legal challenges, the White House unveiled a lone scrap of counterfeit information in the form of a desolate internet image which, after a six month criminal investigation, now confirms that Obama’s presidency is the single greatest hoax ever perpetrated on the American people. NEW YORK, NY – Barack Obama has misled millions into believing he is eligible to hold the office of the U.S. presidency by exploiting a little known secret about his Hawaiian-based natal records. Obama's birth certificate was issued in conjunction with a commonly used, but publicly misunderstood, vital statistics reporting anomaly used to allocate birthplace according to residency, not citizenship, by the State of Hawaii in 1961. Following a six month investigation by an Arizona-based law enforcement agency proving that the image of Barack Obama’s alleged 1961 “Certificate of Live Birth” is a digitally fabricated forgery, it has now been confirmed that the information contained in the document, which claims he was born in the state of Hawaii, is nothing more than the result of a widely misunderstood statistical reporting trick. As early as 1934, this arbitrary, but necessary method was enacted by the U.S. Census Bureau and later written into law with the passage of the Model State Vital Statistics Act of 1942. It was then fully adopted by all state-level vital records agencies, including those within the then territory of Hawaii, in 1950 in order to improve the collaborative accuracy of data harvested by America’s decadal census and statistics reported annually by state vital records agencies. Though commonly practiced by vital records data collection agencies of federal and state governments as a means of defining “residency” in birth data reporting, the policy completely disqualifies birth records as the only source of information about a candidate to determine Natural-born eligibility to hold the office of the presidency. The birthplace shown on a birth certificate is entered as the result of the mother’s place of residence, not the location of the occurrence of the birth. 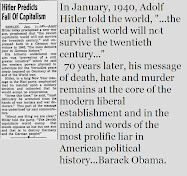 The truth about this information is so damning to Obama’s fraudulent assertions of presidential eligibility, counterfeiters and leftist propagandists operating on behalf the liberal establishment chose to digitally fabricate, conceal and misrepresent these critical facts prior to submitting public information about Obama’s natal history. As discussed previously in parts one and two of this report, the combination of Hawaii’s unique culture, isolated geographic characteristics, unfettered immigration policy and municipal development challenges in the 1960s prompted the use of vital records registration protocols by the State of Hawaii’s Department of Health which undermine the reliability of birth certificate information as a means of determining the natural-born citizenship of any individual. However, it is now clear that Obama exploited the existence of a widely misunderstood natal data reporting method implemented by the federal government, 11 years before his birth certificate was issued, based on an arbitrary statistical application which classifies the actual place of birth by allocating it as occurring in the same location as the mother’s “place of residence”. This allocation is made regardless of the actual location of the birth because the data provided about the birth to the Census Bureau is used for calculating the impact of natality on resident population and, therefore, must be recorded by the registrar using the same criteria used to count those defined as residents by the Census. The VSUS Report states: "The compilation of natality and mortality data on the same geographic basis as the population census requires a complete reallocation of births and deaths to the place of residence. When this reallocation has been made, it is then possible to compute resident rates." The allocation of births to “place of residence” protocol was implemented sporadically beginning in 1934 to provide for statistical integrity between decadal Census data collection and more frequently collected natality rates taken from real-time birth registrations. Prior to the implementation of the policy, the accumulative affect of non-resident and foreign birth statistics on U.S. birth volumes caused a skewing of natality rates when compared to Census population rate data. These errors had to be corrected in order to use the data for accurately measuring resources in developing public health services, municipal infrastructure and women’s reproductive health research. After implementing the birthplace allocation rule, between 1937 and 1949, the NCHS published the annual version of its statistical reporting manuals containing a section called “Vital Statistics of the U.S., Part II Geographic Classification By Place of Residence” which explains, among many other arbitrary rules, the reasoning and methods used to show natal statistics for foreign-born children of U.S. resident mothers. The manuals repetitively explain that the tabulation of vital statistics taken from birth certificates, on a “place-of-residence” basis, requires that the information given on the certificate must be allowed “to be interpreted in such a way” as to afford statistical classifications of birth geography used to calculate natality rates which are comparable with statistical classifications of population geography used to account census data. This means the Hawaiian registrar was/is directed to record the place of birth as being the same as the mother's place of residence, regardless of where it actually occurred. This explains why Obama’s alleged 1961 “Certificate of Live Birth” states that his birthplace was in Hawaii even though he was not likely born there. His birth affected the population of the community where his mother lived, not where she gave birth to him. Since the Bureau of Census held authority over both the implementation of the census and the standards for collecting and reporting vital records until the 1960s, this policy was implemented using the census’ population enumeration protocols as the standard by which all vital statistics data was to be collected and processed. This is logical since the collection of census data on a decadal frequency is what drives long-term public health services and municipal funding in the U.S. Of course, therefore, population is directly affected by statistics taken from vital records documenting birth data, as well as mortality data. The NCHS assumed authority over vital statistics management under the U.S. Department of Health, Welfare and Education when the National Vital Statistics Division and the Office of Public Health Survey were combined in 1960. Historical information referencing “resort states” provides a weighty indictment against Obama’s claim to Hawaiian birth origins. The resort states in the U.S. in 1961 were Florida, Nevada (Las Vegas) and Hawaii. An analysis of the changes in population outside of urban areas of these states confirms this report’s accurate assessment. Hawaii’s population outside of Honolulu increased by 97% between 1950 and 1960. This rate is the highest behind Florida’s, during this same time, whose population rate outside of Miami increased by 161% due to a flood of Cuban aliens fleeing Castro’s communist regime, and Las Vegas’ population which exploded between 1950 and 1960 as a result of that state’s legalization of gambling, prostitution and the development of Las Vegas’ Sunset Strip casinos. This scientifically induced indemnity is a logical, but arbitrary, manifestation of statistical standardization meant to preserve the referential integrity between data taken from natal records and their relationship with decadal census population data. Whereas a population exists continuously and is attributable to a specific geographic location, a birth must, therefore, also be attributable to that same specific location if it is to be considered a valid impact on that population. However, the incongruence between the two data sources is that a birth is a momentary event which has the potential to occur anywhere. This fact affects the constitutional definition of a natural-born citizen, whereas a birth’s impact on resident population is a continuously occurring entity defined under the Census Bureau's treatment of residency, not citizenship. This statistical methodology disqualifies birth certificates from serving as a source of personal information for determining eligibility to hold the office of the Presidency because it fails to accurately define the citizenship status of the subjects therein. Therefore, Obama’s birth certificate, regardless of its authenticity cannot be used as the primary source of information to qualify his candidacy. The reasons for this are circumspect and inescapable. To violate them brings devastating consequences to those who remain ignorant of their altruistic purpose and enduring implications. Based on the continued development of criteria between 1935 and 1961, the alleged year of Obama’s birth in Hawaii, the definition of residency in relation to birth statistics collection was refined to provide more accuracy in natality rates so as to demonstrate the impact of births on resident population, therefore, providing better Census and Vital Record data collaboration, without regard for the actual location of the occurrence of the birth. These revisions included the standardization of the template form of the U.S. “Certificate of Live Birth”, in coordination with the Public Health Conference on Vital Records and Statistics in 1956, which would clearly provide referential uniformity for NCHS coding efforts when classifying geography of vital records origination. The revisions allowed coding and data collection from the “Location of Birth” and “Usual Residence of Mother” entry boxes from all certificates in the same manner, not just for those recording births occurring in the U.S., but also for births occurring to U.S. residents, anywhere. The standard certificate used for births occurring in the U.S. must also be used for births occurring outside of the U.S. to resident mothers, but both circumstances had to provide the same formatting of information for data classification. Therefore, the location of the birth must state that the birth occurred in the U.S. in order for data from the certificate to be reported as a birth which impacts U.S. and state population figures. Simply stated, there is not a separate certificate for births occurring in the U.S. and births occurring outside of the U.S. to residents of the U.S., but both circumstances are recorded as births which, obviously, impact the population and municipal services of the U.S. The problem with this misrepresentation of information is that the NCHS only defines a “resident” of the U.S., not a “citizen” of the U.S. The difference is obvious. Essentially, Obama has exploited this NCHS statistical protocols used to report natal statistics in order to declare himself a natural-born citizen by proxy of his mother’s U.S. residency, without being forced to be accountable for his own Constitutionally disqualified “citizenship” status as president. Since births are recorded in real time while populations are measured every ten years, the VSIM manual actually acknowledges that the necessity for such interpretation “introduces arbitrary and controversial factors into the procedure of allocation” by each state. As we now know, the factors applied by the State of Hawaii in granting Obama’s native birth registration has been nothing but arbitrary and controversial. According to Barack Obama, a natural-born citizen is an individual who is naturally born within the United States to two U.S. citizen parents. Stunningly, Obama, himself, confirmed this definition of a Natural-born citizen in 2008 when he sponsored and voted for passage of Senate Resolution 511 which explicitly states that a candidate for U.S. President is a Natural-born citizen definitively and exclusively because he or she is born to two parents who are both U.S. citizens. The resolution was debated and passed unanimously without inquiry approving the eligibility of Republican candidate, John McCain, during the 2008 election campaign. McCain was born in Panama in 1936, while regionally under the jurisdiction of the United States following the construction of the Panama Canal, to two U.S. citizen parents who were living there while his father was serving in the U.S. military. While media abettors like Fox News, CNN, MSNBC, ABC, CBS and NBC refused to report on Obama’s blatant hypocrisy in this matter, Congress ignorantly refused to apply Senate Resolution 511 in equal and likewise measure to the candidacy of Barack Obama whose alleged father, as unequivocally displayed on his alleged birth certificate and confirmed by millions of sources for decades, was never a citizen of the United States. This fact, alone, bolstered by Obama’s fraudulent natal record and his acceptance of Senate Resolution 511, serves as the only necessary fact needed to convict Obama as an illegitimate president under the U.S. Constitution. By his own validation of a definition of Natural born citizenship under which he fails to qualify himself, without the provision of an amended constitutional law in his favor, Barack Obama is declared illegitimate by his own hand. In light of the evidence discovered for this report, Fukino violated her jurisdiction because she had only the authority to determine Hawaiian "residency" status, not American "citizenship" status in the reporting of vital records. With regard to Obama’s birthplace, the only documented reference appears on a digitally fabricated image, proven to be a forgery, posted to the internet and ignorantly endorsed and accepted without inquiry by many. However, we now know that Obama’s actual birthplace information was recorded in four separate sources, not just a birth certificate, by four different agencies in 1961. His birthplace was recorded by the foreign health agency with jurisdiction over the facility where he emerged from his mother’s womb. It was then recorded by the local registrar’s office upon registration in Hawaii before being reallocated to his mother’s place of residence. It was then recorded by the State of Hawaii’s main office prior to being tabulated and coded for reporting to the NCHS. And, it was transcribed for record exchange with the foreign health agency and recorded by the National Center for Health Statistics for storage to data file tape currently residing at the National Archives and Records Administration, from which Obama restricted its release with Executive Order 13489. Directives published in federal guidelines provided to Fukino by the National Center for Health Statistics now confirm that she was not only factually incorrect while infringing upon the federal jurisdiction of the Immigration and Naturalization Service by attempting to declare Obama’s citizenship status, she intentionally lied about it to avert inquiry about the methods used by the State of Hawaii to explicitly issue and process birth records to children born to U.S. residents while outside of the United States. 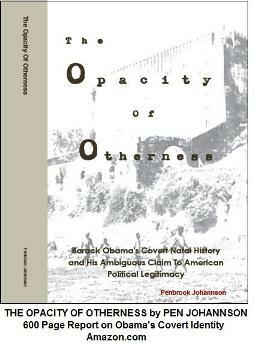 Having full knowledge of the policy which directed the registrar in 1961 to allocate Obama’s birthplace to his mother’s place of residence, having seen Obama’s “original vital records”, knowing Obama’s actual place of birth was outside of the United States, Fukino intentionally misled the American people in a formal press release by stating that Obama was a Natural-born citizen when she knew he was not. We now know the information on Obama alleged “Certificate of Live Birth” is fraudulent. However, even if it was not counterfeited, it is still not reliable in providing conclusive indication of the actual place of occurrence of birth because of Hawaii’s birthplace by residence allocation policy. The instructions for allocating births to “place of residence” were published in the Vital Statistics Instruction Manual, Part 1: “Coding and Punching Geographic and Personal Particulars of Births, Deaths and Stillbirths Occurring During 1961.” An internal office copy of this document resides in the NCHS main office in Hyattsville, Maryland, and was made available for in-house review for this report, but was not provided for public disbursement. However, it was provided to all state Health agencies by the vital records coding regulatory office of the National Center for Health Statistics Office of Vital Statistics in 1961. 1. Natality data should be compiled so as to correspond with enumerated populations (Census data) on which rates are based. Each birth should be assigned to the area which was the “usual place of residence” of the mother. 2. Mothers who, at the time of the birth, had been living more than one year in a community are considered residents of that community even though some other place may be stated on the certificate. 3. Mothers of births which occurred in nonresident institutions such as hospitals, T.B. sanatoriums, convalescent homes, jails, etc., are reallocated to the usual place of residence if they were confined in the institution for less than one year. 4. Mothers in resident institutions, where length of stay is usually extended, such as mental institutions, orphanages, retirement homes, homes for the blind, disabled and deaf, etc. are reallocated to their prior place of residence. 5. Births to mothers whose usual place of residence is a foreign country or a United States possession outside of the United States are not reallocated to the usual place of residence. 6. Infants born at locations other than the place of residence of the mother are reallocated to the place of residence of the mother. Essentially, this protocol instructed the Hawaiian Registrars Office to oversee the content of Obama’s birth certificate in such a way that his natal statistics would be tabulated as a result of an allocation of his birth to Ann Dunham’s “place of residence” in the U.S., regardless of the actual location of the occurrence of the birth. Simply, in the interest of data uniformity between the census bureau and the NCHS, Obama’s birth certificate was required to show his birth place as being the same as the mother’s residence because his birth impacted the population and municipal services of Hawaii, not those of the foreign government and population where his birth actually occurred. The allocation of Obama’s birth to “place of residence” in 1961 was deeply subjected to the Hawaiian municipal agency’s need for conveying natal statistics and census data which would demonstrate the most need for funding and resources needed to expand its public health services, meet infrastructure demands of the population and provide natal-health care for future birth rates. The only way provided by the federal government to do this was by allocation to place of residence using the standard birth report form known as a U.S. “Certificate of Live Birth”. Beginning in 1937, four years after the establishment of the standard U.S. vital statistics registration area, the Vital Statistics of the United States Report published the first natal statistics which included transcripts exchanged between foreign-based vital records offices and domestic Vital Records offices in the U.S. The 1977 version of the Model State Vital Statistics Act states, "If it is to be respected, the appropriate procedures for recording birth and death information for United States citizens born or dying in foreign countries and certification of birth information for aliens adopted by United States citizens must continue to be the responsibility of those Federal Agencies which retain jurisdiction over recording these events." In the earliest available Vital Statistics of the U.S. Report, the National Vital Statistics Office provides the most damning historical indictments against the use of vital records for anything other than providing statistical indicators for determining public health service implementation. Throughout the entire history of vital records collection and reporting, there is absolutely no historical documentation in any NCHS or Vital Statistics office publication since 1900 which promotes the use of vital records for determining the eligibility of politicians to serve in American government, especially for the Presidency. The reasons are unequivocally defined. Recall, the primary purpose of vital records is not to provide an accurate location of the occurrence of a vital event as much as it is supposed to allow an interpretation of data which reflects the vital event’s impact on the municipal and public health services of the attributed geographic population. Therefore, the federal government created data exchanges between foreign and domestic vital records offices which were intended to balance the impact of foreign vital event data on domestic Census population data. The answer to this need for statistical balance was to allocate foreign birth occurrence to the mother’s place of U.S. residence. Therefore, in the alleged year of Obama’s birth, as in years prior and since, Hawaii’s 1961 natality data was compiled on the same basis as population data from the 1960 census, with regard to geographic consistency. This required that foreign births be allocated in such a way that they would be accounted accurately based on their impact on Hawaii’s population rates. Logically, otherwise, if foreign births to Hawaiian residents were not accounted, they would not be included in the natality data and therefore, would cause a skewed result when compared with Census population data. In order to align the two data sets in the state, the Hawaiian Health Department was queued by the federal government, along with the other states, to implement rules which allowed a reallocation of foreign births as occurring in the same location as the mother’s place of residence. That way, when natality data, mortality data and census data were compared, the result was an accurate representation of the impact of vital events on Hawaii’s population, and the population of the U.S. as a whole. The “X”s represent data codes which have never been disclosed to the public and are related to medical information and data input by the State of Hawaii for internal uses only. However, the first 40 digits of this string are those required to determine if Obama’s birth records are legitimate. They contain the year, the certificate number, his gender, the actual location of the birth, the age of his mother, the age of his father and biographical and professional information of all those bearing witness to the birth. If any part of the data string does not match the data shown on the certificate, it can be concluded that his certificate fails to support his claim to natural born citizenship thereby forfeiting his eligibility as president. The standard of eligibility for any candidate aspiring for the U.S. president was declared in the Constitution 250 years before Obama was fraudulently elected. In 1961, Hawaii’s birth reporting methods and residency definitions fell short of that standard because they do not clarify natural-born citizenship status, they merely allocated native birth status based on residency. As stated by the National Center for Health Statistics, the purpose of a vital record is to establish the referential integrity between decadal Census population data and the occurrence of vital events for the effective implementation of public health resources. It is not meant to establish evidentiary consistency in determining eligibility for political office. The “Current Population Report” Series 98, 223 and 229 published by the Bureau of Census, which were available in 1961, indicate that the population data of the state of Hawaii was enumerated on April 1st of 1961 following the 1960 Census. This means that, based on commonly accepted accounts, Ann Dunham was counted in this census data having moved to the islands with her parents after graduation from high school, in the summer of 1960. The United States conducts a Census once every ten years. However, vital statistics (births, deaths, abortions, marriages and divorces) are collected annually. Over the course of ten years between Census data collection, many factors impact the consistency of data because of variability in the circumstances related to vital events. The ability for people to travel outside of their areas of residence must be considered when calculating the impact of the vital events on the population where those people live. Not everyone is born in the same place where the parents claim residence and not everyone dies in the same place where they claim residence. However, those events impact the population of the community where they reside if they did not permanently move prior to those vital events. This means that birth statistics are only valuable if they are relatable to the decadal Census data recorded before them and population estimates occurring simultaneously. With regard to the birth of Barack Obama, this means that his natal statistics are valuable only when they are related to the population of Hawaii because that geographic population is impacted by the computation of his birth, as a part of the rates affecting those who are considered the constituency of Hawaiian population. Logically, births and deaths effect population. Therefore, the NCHS employs methods for accounting natal statistics in the U.S. which serve the interests of public health services and municipal agencies which operate on resources provided directly as result of census and vital statistics data. This situation was especially attributable to the new state of Hawaii’s government, just after the 1960 Census in which it was included for the first time. The 1961 Vital Statistics Instruction manual states: "For State totals, only those persons who cross State lines need be considered in a reallocation by “place of residence”, since any movement within the State is irrelevant." In conclusion, with regard to the birth of Barack Obama, the principal value of his individual natal data is obtained by presenting that data in relationship to the community and geography of which he becomes a member as a result of his birth, not migration. It is meaningless for a community to present foreign births on a birth certificate in a manner which prevents the impact of that birth data from being considered in the resident population of the community which is affects. The allocation of birth place to “place of residence” is a highly significant declaration in determining the manner in which Obama’s foreign birth was recorded, collected, tabulated and reported by the State of Hawaii and how that birth information led him to falsely claim that he is a natural born citizen. Combining the allocation of “place of residence” for birthplace with Hawaii’s unique geographic characteristics, along with its unique indigenous cultural history, we now understand how the State of Hawaii Department of Health issued a birth certificate for Obama’s foreign birth which shows Hawaii as the place of birth by proxy. John McCain was NOT born in the Panama Canal Zone as stated in this article. John Sidney McCain III was born at the Colon Hospital, located at Avenida Melendez and 2nd Street, Manzanillo Island, City of Colon, Republic of Panama. The time of birth on the birth certificate issued by Panama Railroad Company (that owned the Colon Hospital) was 5:25 PM and the day and date of birth was Saturday, August 29, 1936. Thank you. The impetus of SR511 was that his parents were both U.S. citizens. Your clarifications are much appreciated. Absolutely true. And John knew it too. Tgen there was the editor of justia,com who scrubbed all references to Minor v. Happersett as early as 2007. Thanks Penbrook One for this blog and all that you do. Re: SR511 and McCain; Under the 1st naturalization Act of 1790 McCain could claim NBC status, unfortunately for him, the SR511 and the CRS Reports, the 1790 Act was REPEALED and replaced by the 1795 Act which did not "consider" a child born abroad as if an NBC, but rather as if a "citizen" in the same manner the children of a newly naturalized persons children are considered citizens. As for your reseach and analysis.....right on point and consistent with the facts on the gound, i.e., there is NO hospital generated record in HI, but rather a compilation of vital statistics entered on a 'delayed' or 'foreign' bith registration application. "outside of United States"? Did you guys go to the He, Lucas Smith School of Forgery? Nice try but you've been busted boys. Thank you for bringing this error to our attention. You are correct. We have updated the data table image and information to more accurately show the difference between resident and non-resident transcripts from the year we intended. Thank you for checking in. Much appreciated. It would seem to be slightly more than an "error". An error would be selecting the wrong table or reading it incorrectly. Using photo editing software to change the meaning of a footnote by deleting words is called something other than an "error". Words do not describe how much we agree. You could not be more correct! Using photo editing software to intentionally alter the content of any digital image representing a document which originally existed in paper form, and which was intended to be a source of critical information confirming a claim of authenticity...IS called something other than an "error". Hold that headline close to your heart, friend. It will help you get through the challenges ahead. God bless you, in Christ our King. The "certification of live birth" posted online and widely touted as "Obama's birth certificate" does not in any way prove he was born in Hawaii, since the same "short-form" document is easily obtainable for children not born in Hawaii. I've read your three reports and find your research to be solid and very helpful. Thank you. Here's a question I'd welcome an answer to - Early in 2009, there were articles written that interviewed the neighbors in the Dunham neighborhood who stated for the record that they never saw any child, let alone an infant, living in the grandparents home. Ever. Yet her parents address is what is on the bc. But we know from Obama Sr's INS records he never listed their address as a place of residence and in fact, had a totally different one listed during the period of the natal event. Given your thorough research, is it factually correct to state the grandparents filed the birth information with a local registrar giving their address as place of "residence" when in fact, if she did, then wouldn't it only make sense that she would have filed her "residence" as that of her supposed husbands? Which would result in even more weight to the fact he was born somewhere other than Hawaii. Excellent thoughts! The sources of information used by Obama defenders to conclude that Obama was born in Hawaii are taken from two fallow historical documents. The digitally fabricated internet image of an alleged 1961 "Certificate of Live Birth" and two copies of alleged newspaper announcements which take their information directly from the information provided by the registrar which was used prior to register the birth. Both of these sources show the same address which is the address of Ann Dunham's parents. It was confirmed that Ann Dunham was a resident at this address, as well, using historical Polk directory information applicable at the time of Obama's birth. Protocols for completing birth registrations stipulate that the birth certificate must contain the usual place of residence of the mother including address, city, county and state. In 1961, only about 6% of births were illegitimate or occuring to one parent. Because the mother MUST be at the birth (obviously), whereas the father does not, the NCHS mandated that birthplace information was provided in conjunction with the mother's usual place of residence, which is defined as her normal household where she "sleeps and lives most of the time", according to the Census Bureau. In 94% of births, which are the legitimate births, the household is typically under the father's name and therefore is the mother's address too. But this was not the case with Obama. His mother lived in a household with her parents. Another reason Obama's birth was not allocated to the Obama Sr's address is because the relationship between he and Dunham was estranged at this point. Grandma Dunham would have not even considered assigning baby Obama to Obama Sr. In fact, Obama Sr. was, in all likelihood, not even in Hawaii at this time, since he was already married to an African woman. If the birth occurs in a place outside of the location of the mother's place of residence, the certificate must still state the mother's place of residence as the location of the place of occurrence of the birth. The image of the Certificate of Live Birth (albeit digitally counterfeited)contains the address as the allocated location of the birth according to the mother's place of residence per NCHS protocols for reporting foreign occurring births to U.S. residence abroad. Yeah I'm going to have to disagree with you on this one. My Ex wife was born in Ohio in 1967. Her mother's place of residence was in Georgia at the time of her birth. The BC correctly lists her place of birth as Dayton Ohio. Not knowing the exact circumstances, I believe, since Dayton is in the U.S. which means it was not a foreign birth, it could have been registered in its actual "place of occurrence" because it would be accounted as both occurring within and impacting the population of the U.S.... and, we might assume the birth of your mother was actually registered in Dayton, not Georgia? Just presumptions. If this website is accurate then My Ex wife's BC should list Georgia as the place of birth not Ohio. I beleive the misconception here is due to the fact these statements are meant for the balancing of state populations in the census to what the state has recorded. The allocation of the residence only happens to determine actual population not to manipulate birth and death documents. Notice the first statement says reported not recorded and the second one does not specify Domestic or Foreign, it states no matter where it occured. The reason for the decadal rules about allocation are to reconcile the census, every decade, and the actual, accurs as it happens. The reconciliation is reported and the actual births and deaths are recorded. Based on the entire body of historical documentation regarding allocation of vital events to place of residence, there is a strong indication that, unless foreign events are allocated to the individual "at risk" of the event (births and deaths to U.S. residents in this case) within the population to which they claim residence, they would not be recorded by the NCHS. The NCHS explicitly states that if a birth occurs in a foreign country to a U.S. citizen, and that birth is not allocated to the place of residence in the U.S., it was not recorded in the annual birth statistics reports. Therefore, three separate organizations hold influence in how these circumstances are reported in each state. Most importantly, the VSIM and the VSUS report both explicitly states that the rules used to report such an event are "arbitrary and controversial" in many states. The World Health Organization, the NCHS and the Census Bureau all agree that, in order to provide accurate data which is useful for determining the level of resources required to provide public health services, municapal infrastructure and research WITHIN EACH SPECIFIC STATE MUNICAPALITY, that data must be presented in such a way that it "can be interpreted" as promoted the need for such services and funding. It is very important the remain cognizant of the fact that each state treats/treated foreign birhs to U.S. citizens differently, with regard to how they choose to show the information on official records. Based on the ongoing investigation in Arizona and our contributions, we have strong statutory evidence which reveals, based on Hawaii's cultural and geopolitical history, that the Hawaiian municipality recorded Barack Obama's foreign birth as a "place of residence" allocation to his mother. This allocation then triggered the shallow evidence of a native birth record (albeit digitally fabricated) and announcements from that same "residentially allocated" birth record. With regard to your wifes BC, there are two circumstances which explain the allocation of your wife's possible intrastate allocation of the birth. Again, not knowing the specific circumstances of the birth (i.e. why the birth occurred in Ohio and not in the home state, the age of her mother, the residency of the father's household and the status of the relationship with your ex-mother in law and the laws governing birth data reporting in Ohio). First, Georgia is one of 14 states which developed the self-reporting data protocols in the 1950s and 1960s. The state of Ohio was not. The coordination of the two municipalities were therefore an issue with regard to intrastate residency and birth reporting. Also, the state of Georgia, in the 1950s and 1960s was one only a handful of states which had more than 100 counties (See 1961 VSIM). Therefore it required a unique data recording protocol in which it was assigned two separate double-digit codes for counties of birth data. The coding for counties in the U.S. evolved to 3 digits in 1970 after the decadal census. The fact that she was born in another state, and that her birth was allocated by intrastate residency status further supports our belief that, SINCE IT WAS NOT FOREIGN BIRTH, and the fact that Georgia's county assignments forced advanced data reporting protocols based on Census data, it is highly advantageous for Ohio and Georgia to record her birth by place of occurence and provide an exchange transcipt of residency for data reporting by the NCHS. Remember, birth statistics are primarily about money to municipal governments, not providing citizenship and identification. Those are collateral functions of birth records. Furthermore, and slightly off trail, the plausibility that Barack Obama is an illegitimate president causes a high level of psychological pain to those who supported his candidacy under the belief that he was who everyone thought he was because of what they were told by others about him. The fact that he is actually not a natural born citizen and, therefore, not an eligible candidate for the Presideny has distorted the truth that Obama is just as worthy of success and happiness and freedom and justice as anyone else in America. He just isn't qualified to hold one of a million jobs in government. This is not personal. Its just business. Lets talk about Executive Order 13489. I just got done reading it. Do you honestly think a president trying to hide something from the people would include a clause that provides the information to be released to the public by an order of the court, even if the president claims privilege? Interesting you mention "by on order of the court", since that very same court system is corrupted beyond repair and has completely disregard more than 50 legal requests for access to the "president trying to hide something's" records. Denise Lind, Nazzorato, O'Carter, Malihi. All courts of Obama. Well I can't argue with that. The courts are corrupt and in 1947 the supreme court ruled that there is a seperation of church and state. They based that decision not on the constitution but a letter written by Thomas Jefferson to a group of churches. In that letter he used the term " Wall of seperation ". I, myself find the comment section of "controversial" stories or research that appears on the web sometimes even more interesting than the original story. And this comment section, Penbrook One, is a gold mine. Its clear that you've out researched all the pros in the MSM, and you can back it up by answering any question that has come at you almost immediately. Bravo. Thank you for putting your effort, and your reputation on the line, in the defense of this Constitutional Republic. I (and all of us who enjoy living in this Great Country) owe a debt of gratitude indeed! Have you considered releasing to the public, or sending to Sheriff Joe, a copy of your birth record from Brisbane Australia...along with a copy of the HI COLB you allege to have obtained?